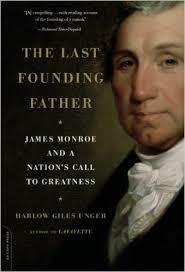 Harlow Giles Unger gives us another enjoyable presidential biography. 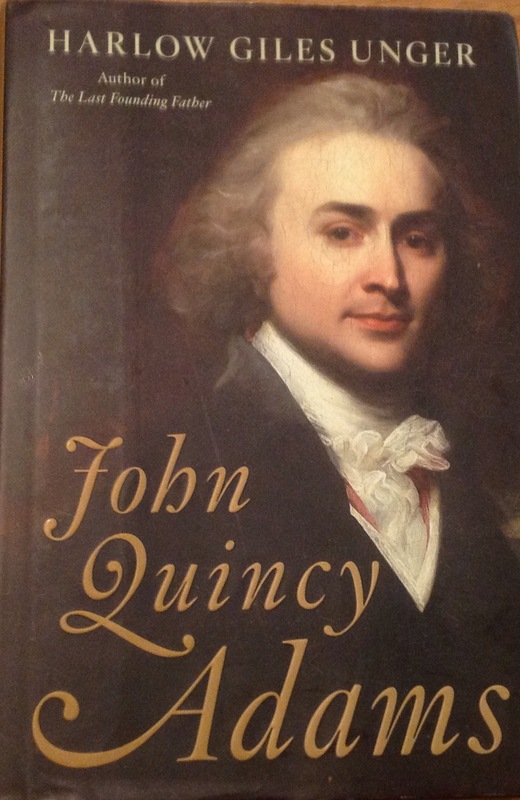 This time it is on the underrated John Quincy Adams. Perhaps JQA gets overshadowed by his famous father, or perhaps it is because his actual term in office was a dud, but his long public career is in some ways unparalleled in our nation’s history. His life, without question, makes for sterling biography. He met George Washington and Abraham Lincoln! Unger wells presents his early days and educational opportunities as well as getting to go on diplomatic missions with his father. His experiences were incredible and before long he was on his own diplomatic missions. His family life was interesting. He had a close relationship with his parents. He married a British lady and though he seemed fond of her, their marriage suffered deeply on several occasions. His leaving her at times while on political conquests surely contributed greatly to his problems. As a parent, he suffered both the deaths of some of his children, he watched others turn out as alcoholics. He knew something of suffering. Ha was, without a doubt, a believing Christian. After a successful time as Monroe’s Secretary of State, he finally ran for President. He actually lost the popular vote to Andrew Jackson and was voted in finally by the House of Representatives. He took on several enemies at that time and he was never able to do anything as President. He was quite a discouraged man in those days and was an unpleasant and grumpy man. Then he hit his stride. For years he became a Representative from Massachusetts where he saw himself representing the whole country. And represent he did! Many Southerners hated him but his skill in legislative procedure and constitutional law made him THE force to be reckoned with. 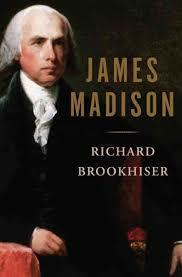 He was the greatest champion of abolition from the founding of the nation till the eve of the Civil War. He knew before he died that the Civil War would come and, to his mind it was probably needed. Unger draws a fine portrait of this man who lived his life on principle. How refreshing to read in these days. I learned that JQA was one of the really great ones in our nation’s history even if his term as President was largely forgettable. Presidential biographies in the series. Though I am learning to continually lower my expectations, I have been mystified on why the Republicans were so inept at fighting the warped Iran Deal. I mean, we have an unpopular President and the public seems fairly skeptical. Even in purely political terms, what a chance for the opposition party (Republicans) to land a blow on the President. Politicians rarely miss such opportunities. So again, I have been totally unable to figure this one out. Finally, I came across an article from National Review (Shared below). Though they are known famously as a conservative magazine, they are much more reputable than many others that might, for example, show up on your Facebook news feed. The answer to the mystery is sad, though, perhaps, not a shock. Read there about how companies like Boeing, which would profit enormously from the Iran Deal, makes hefty contributions regularly to Republican senators. Then see how they months ago passed a bill that gave President Obama the authority to lift sanctions unless the Senate passes a Resolution against it. Of course they knew they couldn’t. Here is the sick part–they set up a way to appear to be against it now publicly by voting for the Resolution now knowing it wouldn’t pass. They can even gripe about what they helped put it place to appease the folks at home. This deal is one of the worst in our nation’s history. It helps a rouge nation get nuclear weapons. 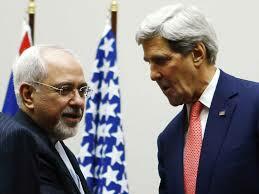 It puts Israel, our ally, in grave danger. As a Christian, I believe God frowns on it. This shows the low place where our country is spiritually. Corruption runs deep. Here is another replacement volume in the venerable Tyndale Commentary series. This volume replaces the 1974 volume by Thompson and is superior to it. This bodes well for the Tyndale series holding its high place among commentaries. Woods gives a lengthy, for this type series at least, Introduction. My favorite part is that the author’s love for Deuteronomy shines throughout. These type make the best commentary reading. 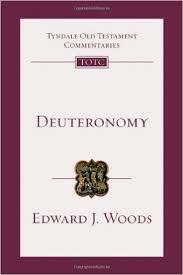 His case for Deuteronomy being pivotal is well done and convincing. His discussion on authorship touches the scholarly bases without falling for their excesses. His description of literary features is illuminating. His comparison to law codes may seem a little overdone, but too many scholars discuss it for him not to mention it. His expansion of comparing Deuteronomy, and particularly the Ten Commandments in Deuteronomy, to the rest of the Pentateuch was helpful. Finally, his discussion of theology was the best part of the Introduction. It really helped put Deuteronomy in perspective. The Commentary proper was helpful, thoughtful, and never trite. This will be a fine volume to consult for years to come. I highly recommend it. Here is a man probably not known by many today, but who had an incredible impact on Baptist thought in America. 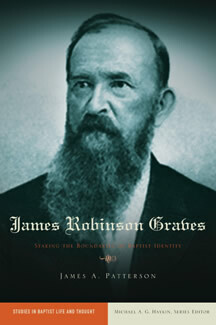 This biography tells us of the man and we see the development of Baptists clearly as well. He particularly molded the early Southern Baptist Convention. 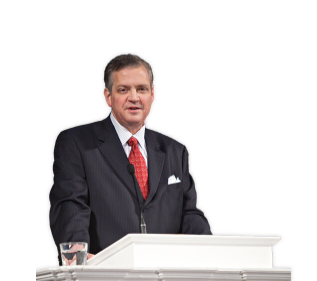 His career was mostly as a Baptist editor and he spent his life battling for his views. Mr. Patterson, a Baptist professor, dug deep to make this scholarly contribution. Though the scholarly style may repel some, his contribution is likely to always be the definitive volume. He also traces the actual viewpoints that still show up in some circles that are called Landmarkism. Though Graves picked up thoughts in several places, it was his writings that put Lankmarkism on the map. Very few people believed his view on Baptist succession and rigid church and baptism beliefs before he popularized them. Patterson shows that these beliefs matched the political thinking of the times. As a biographer, he went to great pains to be fair to Mr. Graves. The problem was, however, that Mr. Graves makes that hard to do. Mr. Graves was so rigid and harsh he failed to keep the testimony he should have held to have the ear of so many. Frankly, the book is fascinating if you have ever been part of the Baptist world. In fact, I don’t know how we could understand Baptists accurately today if we did not know what this biography told us. I highly recommend it. Here in the latest of the fine Apollos Old Testament Commentary series published by IVP we find a surprising volume solely on the little book of Ruth. Though often attached to Judges in the commentary world, this book is often more loved and well known than its larger companions. Most Christians love studying Ruth. 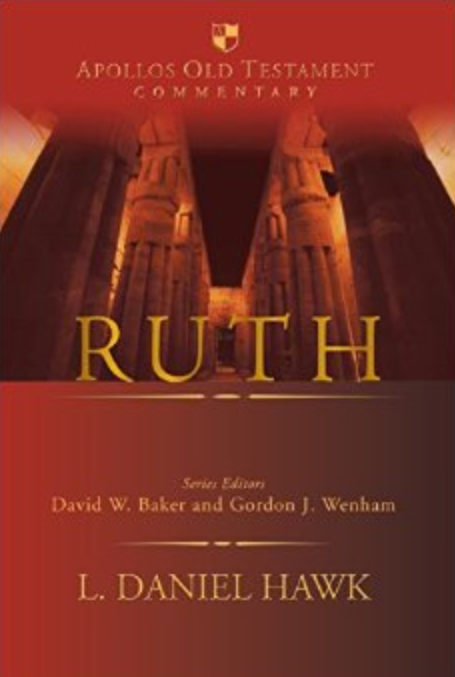 Daniel Hawk gives us a thoughtful volume on Ruth that, in my judgment, takes its own track. In analyzing structure he reads ethnicity as a key component to understanding Ruth. While there are theological points to the Israel versus Moab points of the story and the ironic turn of events, I cannot personally elevate that as highly as he does as the crux of understanding Ruth. Still, it highlights points other commentaries miss. His Introduction covers the normal territory and he well summarizes what scholarship has so far thought. His discussion on how some classify the book—true story, idyll, novella, folk tale—only reminds me that such discussions would never have arisen had not scholarship decided to attack the historicity of the Bible in generations past. While I agree with his assessment that Ruth “resists classification”, I wish he had given a stronger word on its complete veracity. What is valuable is the perceptive observations he often makes that you can use as a takeoff to study. For example, he says, “While the narrator begins and ends with males, the first and last characters to speak in the story are women.” I found myself underlining many such observations in both the Introduction and the Commentary itself. This volume would not be my first choice on Ruth, but I count it a helpful additional resource and well worth having. The Apollos continues to shape up as a fine series.